Technically it's not in the Cinque Terre area, but with the Cinque Terre it shares history, the atmosphere, and beauty: beyond the Punta Mesco hiking from Levanto to Framura, passing through the fishermen's village Bonassola goes through the scented forest and always looks at the sea to discover spacious beaches and historic charm. If you ask a local, Cinque Terre is an area of the Riviera enclosed between Punta Schiara and Punta Mesco, where the five villages of Riomaggiore, Manarola, Corniglia, Vernazza, and Monterosso are included, giving the area its name (Cinque Terre means Five territories). For non-residents, as for those who do not speak Italian and the term Cinque doesn't mean much, the whole neighboring area looks really like the official Cinque Terre, so that this ends up including at least 7 or 8 villages. Just beyond Punta Mesco for those arriving from La Spezia is Levanto, the largest town near Cinque Terre, with a beautiful beach. 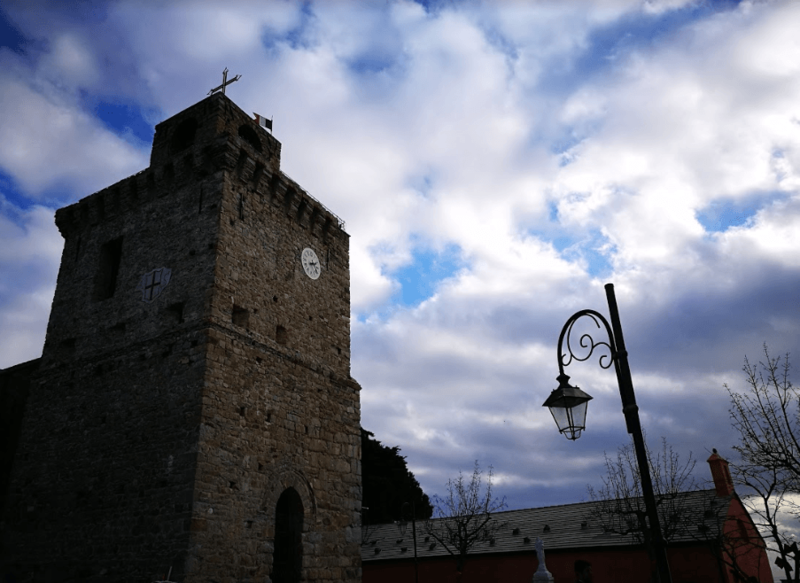 In Levanto, it is great to take a stroll to visit the Church of Sant'Andrea, Casa Restani, the 13th-century Loggia Market, and the Castle built from an ancient 13th-century fortress, perfectly preserved. Hiking from Levanto to Framura starts here and leads to one of the nicest trails just off the Cinque Terre but with all the finest features of the area. Climbing to the west is the tunnel that once was the railroad and since 2015 has been restored to make it pedestrian and cycling. In summer, strolling into the tunnel joining Levanto and Bonassola and then Framura is really refreshing because it is always cool; in the fall, also on sunny days, you will need a sweater. The 2.6 km route to Bonassola is interspersed with glimpses on the sea, and in some cases, it is also possible to reach the sea to dive in the water. Once you get to Bonassola, you can rest on its beautiful beach, one of the most loved by locals in the summer. Looking at the Bonassola coast from above, one can understand the probable origin of its name, derived from the Latin Bonatia, dead calm, with reference to the ease of landing for boats on the shore, probably compared to other harbors, more narrow and rocky. At the end of the Bonassola bay is located the small chapel of the Madonna della Punta, considered by many the Bonassola's symbol, reached within minutes from the beach, one of the most picturesque and romantic spots on the coast from which to enjoy a beautiful view of the Riviera up to the Alps in the most beautiful days. The path to Framura marked by number 18, a section of the path number 1, is just off the road from the Church of Santa Caterina in Bonassola and leads to the chapel through the colors and scents of the Mediterranean scrub. After about half an hour of pleasant walk, you will reach the Salto della Lepre (the Jumping of the Hare), another panoramic point to admire the view over the Cinque Terre, an evocative rock overhanging the sea that is appreciated in its height from a space that opens on the path with a bunker of the times of WII, where to stand in the sun. At this point there is a particularity and variety of botanical species more typical of the area: in the pines, the juniper and the agave grow, in addition to the bush, the prickly pear and the sarsaparilla. After the view, the trail enters the forest in a somewhat savage and uninhabited stretch, particularly peaceful and quiet, which sometimes opens again to the coast to offer unique views, until finally descending to Framura, announced by the small beach of the Marina on which it dominates a small statue of Our Lady. The village of Framura is made up of fractions: Anzo, Setta, Castagnola, Ravecca, Fornaci and, above, Costa. Framura's history is ancient and is witnessed by many buildings of artistic and historical interest all to explore while walking through its stairs, paths, and houses. The hamlet of Anzo is perhaps one of the oldest and most interesting, according to Greek scrap cartographer Scillace, in the 5th century BC the site was already marking the border between the Ligurian and the Etruscans populations. A resort for Genoese noblemen in antiquity, which has preserved its aristocratic style, and an imposing defensive structure from the attacks of the sea, now constituted by a Genoese guard tower (XV century), located right at the entrance to the hamlet. For those who are not tired, reaching Costa above Framura, is a must. From Costa you admire one of the most beautiful views of Liguria, in particular from the Carolingian tower, which, from its dominant position difficult to attack, allowed a unique view of the sea and the outback. Is La Spezia worth visiting? Hell Yeah!